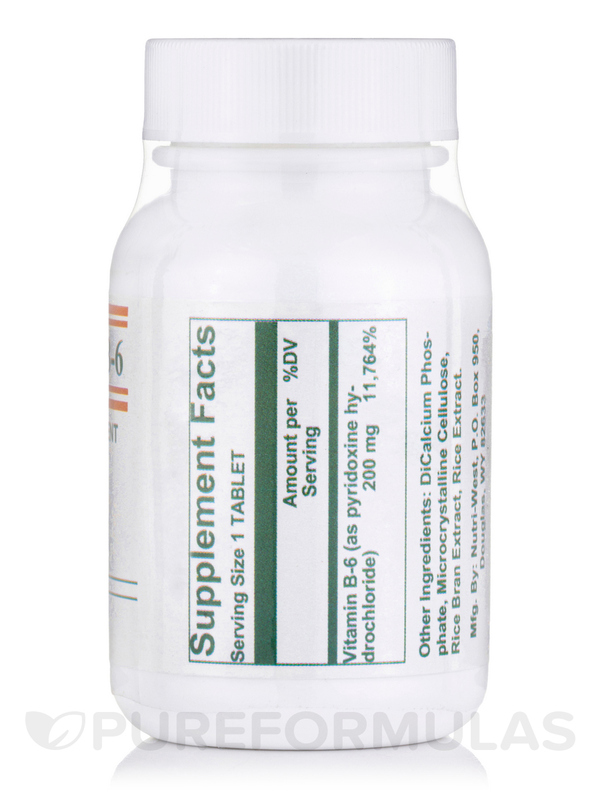 This supplement contains vitamin B6‚ also called pyridoxine. Although our bodies can maintain healthy B6 levels through our diets (since B6 is available in some cereals‚ beans‚ vegetables‚ meats‚ and more)‚ it is still possible for some individuals to have low levels of it. Like with most B vitamins‚ low levels of B6 can possibly cause anemia. Sometimes nicknamed "tired blood‚" anemia is characterized by low levels of red blood cells (hemoglobin). Symptoms of anemia include fatigue‚ poor concentration‚ and possibly more. Additionally‚ vitamin B6 can sometimes be used to boost the immune system. Pyridoxine has also been used for helping alleviate symptoms of premenstrual syndrome (PMS) and possibly even morning sickness in early pregnancy. In general‚ as an essential vitamin‚ healthy vitamin B6 levels are required to support the normal development of the brain‚ nerves‚ skin‚ and more. Pyridoxine also plays an integral role in the metabolization of nearly all amino acids. In addition‚ production of the neurotransmitters serotonin‚ dopamine‚ epinephrine‚ norepinephrine‚ and GABA (gamma-aminobutyric acid) rely in some way on B6. The metabolization of some lipids (fats) also relies on vitamin B6. Vitamin B6 may also help in the production of hydrochloric acid in the stomach‚ which is a vital component in digestion. Low stomach acid levels‚ if left untreated‚ can possibly lead to potential health risk. 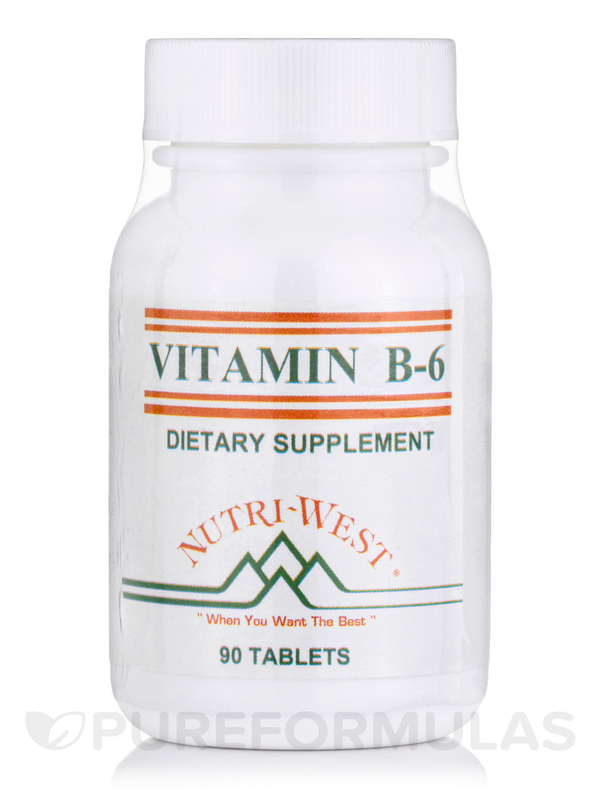 Nutri West recommends a daily dosage of 1 vitamin B6 tablet a day. PureFormulas.com is proud to offer free shipping not only for Nutri West's Vitamin B6 supplement‚ but for all the nutritional and dietary supplements you'll find on our web site. 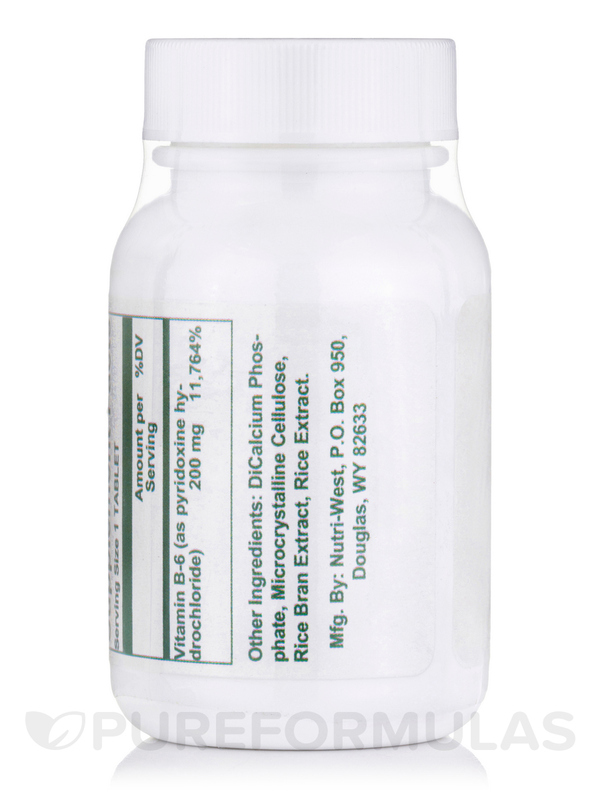 Each Tablet Supplies: Vitamin B-6 (Pyridoxine HCL) 200mg. Vitamin B-6 in amounts> 200 mg/day can possibly cause symptoms of neuropathy.